Such a narrative does not match the description we got used to. Video games used to be noxious objects, encouraging antisocial behaviour and constituting a danger for the health. They could even frame the minds of potential serial killers, as in the Columbine case. They used to be aesthetically poor experiences and confined, for their consumption, in the arcades or in the teenager’s bedrooms. In this paper we will highlight some examples of how the descriptions of video games have changed in terms of alleged positive or negative effects for the individual and society, with reference to health, psychological and cognitive aspects, and cultural and aesthetic relevance. We argue that many of the new discourses on games as positive media are not more fair and lucid than those that ostracised video games in the past. It is however worth asking how these discourses emerge and are structured, despite their inconsistencies, as they reflect wider trends of spontaneous consensus between industries, audiences and institutions, and make us aware of the risks that the critical function of research may be distorted by such trends. In the early 2000 the “Columbine incident” controversy was raging. Video games, as well as satanic rock and youth subcultures, were on the list of what was to blame. The massacre at the hands of two students, Eric Harris and Dylan Klebold, at the Columbine High School in Colorado, United States, on the 20th of April 1999, has been interpreted and commented in many circumstances in regards to the negative effects of media. In reconstructing this story, video games often appeared as one of the favourite hobbies of the two killers, thus suggesting a direct connection between video game playing and homicide tendencies (Brown, 1999). Baker and Petley addressed in Ill Effects (1997) the process by which rock and other media were targeted as bearers of antisocial and noxious effects on youth. The authors recognized how these media were being depicted as bearers of noxious influences on youth and the audience in general, or as instigators of violence and bad behaviour. In the second edition, published in 2001, video games were considered in their functioning as scapegoats for morally and politically relevant themes on the agenda of the media. The authors would describe gaming as a practice which was being stigmatized like witchcraft. By that time, the authors reported that there had been “very little research into the players of video games of a kind that escapes the clutches of the ‘harm’ brigade” (p. 16), and that “at the heart of this ‘effects’ tradition stood the figure of the ‘child’: innocent, vulnerable, corruptible by the violent or corrupting medium” (p. 11). In fact, in 2000, American senator Joe Lieberman publicly stated that violent media played a negative role in influencing children, and were indeed “part of a toxic mix” that has actually now turned some of them into killers”; the speech was reported in The New York Times (Rosenbaum, 2000). Sue Howard (1998) argued in Wired-up: Young People and the electronic media that “the construction of the ‘child’ that lies behind these anxieties is essentially an idealized and romantic one”, while media “are often demonized—they are rapacious, corrupting, exploitative and in need of regulation”; also, “ironically . . . the media themselves are largely responsible for perpetuating these constructions” (p. ix). Similar arguments were pivotal in the field of psychology and psychiatric research, as well as for parental organizations. Pamela Eakes of the Mothers Against Violence in America argued that “violent video games are an ideal environment in which to learn violence”, as they reward the player “for violent behaviour”, and are “addictive”; “kids want to play them for hours to improve their playing skills, and repetition increases learning” (Eakes, n.d.). Barrie Gunter (1998) reported how “throughout the 1990s, increasing numbers of newspaper headlines have highlighted scare stories about ‘violent and horrific video games’, invariably leading to ‘a call for tighter censorship’ at the hands of ‘concerned lobbyists’” (pp. 7-8). These arguments were consistent with theoretical approaches that would deal with the potential for video game to have violence effects, including the Catalyst Model of aggression (which implies a combination of genetic and environmental factors like stress and antisocial personality) 1, and most notably the General Aggression Model (GAM), which asserts more vehemently that physical arousal is likely to be affected by simulated violence (Kooijmans, 2004). The negative bias and scepticism towards video games seemed to permeate all sectors of public discourse. US President Bill Clinton said in his President’s Radio Address (April 24th, 1999) following the Columbine High School shooting in Littleton, CO, that “as Hillary [Clinton] pointed out in her book, the more children see of violence, the more numb they are to the deadly consequences of violence” 2. Whenever games were not used as witches to burn on the stake of the political agenda, they were simply overlooked, and seldom deserved a mention as relevant social objects, even in the academic or intellectual field. In 2001, media scholarship had barely tackled the whole issue of video games, while an author and intellectual like Ray Bradbury could get away with the whole issue of gaming by stating to an interviewer that “video games are a waste of time for men with nothing else to do. Real brains don’t do that” (Hibberd, 2001). Critical counter-arguments, however, were also circulating. To our knowledge, only a few works concerned about video games as cultural objects in their own right. In the second edition of Ill Effects, published in 2001, the editors included a new paragraph dedicated to video games, arguing that “one of the striking new features has been the emergence of fears about computers and, especially, video games” (p. 16), but choosing to point the reader “towards the good work that has become available” on the medium: “a flush of important research in recent years . . . scattered in many places” (p. 2), yet a starting point in the process of questioning the dominant and apocalyptic paradigm. By the time the authors of Ill Effects were writing, an article by Steven Poole was still one of the few example of a positive argumentation on games. Poole (2000) defended the position that the video game as a medium was actually forging “a new generation of techno-savvy . . . who are rightly sceptical of passive acquiescence to what the television screen autocratically delivers”; for the author, games were actually “designed so as to exploit the virtues of the screen’s plasticity and infinite representational possibilities”, thus challenging “the pernicious, isolating effect of passive television screen culture”. Steven Poole would again be one of the discordant voices on video games narratives, as he would go on to critique a now notorious claim by Jane McGonigal on games’ potential to change the world (Poole, 2012). Today, it would seem as if negative takes on games had been paralleled significantly, or even outstripped, by rising narratives on games as beneficial objects. While claims of negative effects rooted in the area of psychology, pedagogy and law have never actually disappeared 3, they are now matched by a larger number of pros and cons approaches. In public debates in the mainstream media, positive and negative effects are seen at least as equal possibilities. This discursive transformation could be exemplified by looking at the reactions to the recent Oslo murders, which seems to echo the more notorious case of the Columbine tragedy. In the wake of the Oslo massacre, a great deal of attention has once again been drawn to the killer’s consumption of media, and specifically of allegedly harmful video games 4. As a consequence of the attention which surrounded the tragedy, the debate on movies, games and literature as a possible “bad influence” or reinforcing factor has been re-heated. Unlike in the Columbine case, however, claims on the negativity of games were mostly brought forth by politicians and died out. The media focused most of their attention on the ideological reasons and on the deviant personality of right-wing activist Anders B. Breivik, rather than isolating video games as the only cause that fostered this outcome. Also, the academic and scholarly sectors were quicker in addressing these narrative by criticizing the equation between games and violence. One such response, among the many others, was delivered by Christopher Ferguson, himself a clinical psychologist. Ferguson (2011) argued rather bluntly that “video games aren’t to blame for this tragedy [because] people really want to know what kind of boogeyman” they can place the blame on, “and video games are still the top choice when it comes to any type of tragedy” (paragraph 2). This kind of critique, from the very field in which games used to be analysed as bearers of psychological effects, is consisted with a different sensibility for which gaming now being recognized as a bona fide cultural phenomenon, no longer reducible to the occasional scapegoat of the cyclical media panic agenda, but at the same time notorious for having been exploited for this purpose. While the Oslo controversy would fade much sooner than the Columbine case in the palimpsests of the news, its analysis was also less rooted in a sociological analysis of media effects and more on the personality of the killer. The process by which games were to blame for social disruption did not hit the zeitgeist like it used to. By 2011, an increasing number of publications and statements in favour of digital gaming as a cultural products had also been produced since the previous decade. While the previously dominant discourses on games as noxious objects seemed to arise mostly in the field of psychology, psychiatry and cognitive studies, a new narrative claiming games as redemptive devices emerged in the area of media studies, drawing on a similar claim for psychological, cognitive and medical evidence. In recent years, digital gaming has been discussed as a medium which improves our mental and physical skills. The alleged effects of gaming on children are once again at the centre of the argumentations, but these times, these effects are seen as beneficial for health and from a psychological and cognitive perspective. The argument according to which repetition increases learning, which we have previously noticed in the narratives of the harmful effects of games, will bring Prensky (2006) to completely opposite conclusions: according to the author, games can train us for cognitive abilities, useful for work and research. The very same features of video games (fast response, complexity, cognitive demand) that were seen as alienating and correlated to attention deficit disorder were thus hailed as a testing ground for the development of future quick and powerful social and technological skills. Steven Johnson (2005) proposed to consider new media audiences as constantly undergoing a cognitive workout which is making everyone smarter; for Johnson, popular culture is “altering the mental development of young people today” in a good way, that is “enhancing our cognitive faculties, not dumbing them down” (p. 12). According to this narrative, television series, video games, the Internet and many media where a large audience is involved are now requiring more and more intensive concentration than in previous years. However, it is not only at the level of content that this intellectual work is happening. It is not a matter of displaying good, instructional messages. According to Johnson it is the complexity of the plots, the number of variables and rules in a game and the high intensity of engagement with the communities of fans that are responsible for the increased brain activity and, therefore, level of intelligence. Johnson is on a similar line to Henry Jenkins, who also acknowledged the potential of fan-based communities in promoting more active forms of media reception (Jenkins, 1992, p. 343; 2006a, p. 308; 2006b, p. 279). The active element, however, is presented in much more positive terms by Johnson, who insists on the ‘positive’ effects of any form of engagement of the audience. Video games are also often discussed as targeted to a mature audience and no more associated with antisocial teenagers. This appears in a large number of statistics and market surveys that have been published in the last decade. Johnson (2005), Prensky (2006), and McGonigal (2011) base this alleged revolution largely on facts and numbers, as if a qualitative change could be justified or even determined by statistics. These surveys appear to be, in most of the cases, funded by the game companies and publishers. The numbers in support of the growth of gaming are questionable. However, the reality of these numbers is not the point we would like to make. Above all, their use is disputable as we believe that to determine a form of causation between surveys on video game audiences and the positive effects of the medium is a biased approach. An often quoted survey is the one provided by the Entertainment Software Association, which claims that, in 2010, the average video game player is 37 years old, 42% of players are women and 29% of gamers are aged over 50 5. These numbers are presented as successful facts, which testimony for some sort of maturity of the video game medium. McGonigal (2011, p. 3) insists on this point. She bases her argumentation on the Newzoo Games Market Report 2010, which states that nowadays “in the United States alone, there are 183 million active gamers [and that] globally, the online gamer community—including consoles, PC, and mobile phone gaming—counts more than 4 million gamers in the Middle East, 10 million in Russia, 105 million in India, 10 million in Vietnam, 10 million in Mexico, 13 million in Central and South America, 15 million in Australia, 17 million in South Korea, 100 million in Europe, and 200 million in China” (p. 15). 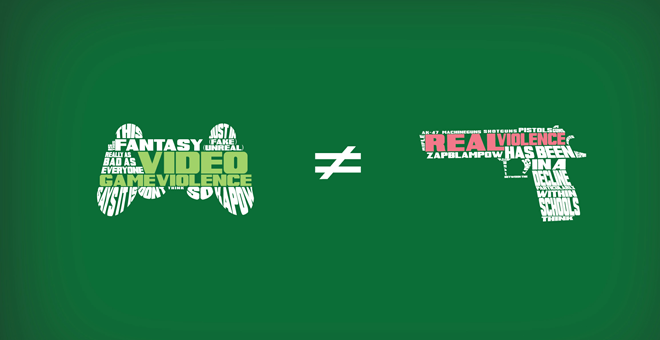 These numbers or even higher figures cannot constitute, in terms of logic, neither a sufficient nor necessary condition for claiming in favour of the psychological and social effects of video games, let alone any aesthetic value. The beneficial effects of modern or contemporary games (as opposed to the older ones) also appear to be rooted in an evolutionary narrative according to which their increased complexity, variety and aesthetic and informational content would translate to an increased possibility to enhance the player by training, educating or socially engaging him or her. This is maintained by Johnson (2005), who points out his evolutionary view in the introduction to his text where he claims that, against apocalyptic views, there is instead “a progressive story: mass culture growing more sophisticated, demanding more cognitive engagement with each passing year” (p. xi). Data analysis is then used to demonstrate the increased complexity of plots and narratives in popular TV series, thus basing on numbers and facts the evaluation of the complexity of the product, and the required intellectual activity from the side of the viewer. Once again these takes from the academic community seem to be rooted in a more general discourse games, one that is now positive, and also regards to their growing reception as works of art. According to emerging discourses, video games are finally capable of aesthetic achievements, as games such as L.A. Noire (2011), Heavy Rain (2010) or Alan Wake (2010) would seem to demonstrate to a part of the gaming audience, and most notably to mainstream journalists, the general public, or critics from the film industry. The case of L.A. Noire is very significant in this respect. L.A. Noire has been recognised for its aesthetic value at the Tribeca Film Festival, an event addressed to film. This event has been discussed by video game critics as a proof of the reached level of aesthetic value of digital games. However, it should also be noted that the game was presented as a sixty minutes movie, thus misunderstanding its ultimate nature as an interactive form of entertainment. In fact, what was celebrated was actually the aesthetic similarity of the game with films. Rather than for pushing the quality of video games a step further, L.A. Noire has been hailed for replicating the language of another form of expression 6. This is a demonstration that video games are increasingly celebrated through values, discourses and mythologies borrowed from other media, without taking into account the actual gaming practices. Games appears to be legitimated as a cultural product mostly, if not only, when they are capable of replicating the aesthetics of more established practices (cinema, mostly, and novels in terms of narrative). This undermines the argument that digital games are becoming socially relevant in their own rights. Last but not least, according to these redemptive narratives video games now also appear to be relevant for social and political issues in the Western societies, for underdeveloped countries and for the whole world. They are described as capable means of propaganda and activism, as the rise of serious gaming would seem to imply a committed use of the medium, which would give way to its exclusive employment as an escapist medium 7. In this milieu, even more extreme claims are now being made. Jane McGonigal’s controversial text Reality is Broken (2011) represents the peak of this narrative of redemption. Her work supports the idea that reality is “broken”, that is: unsatisfying, alienating, unproductive, and ineffective; and that video games can “fix” it, by introducing collective participation under the regime of play into social issues, thus making it rewarding, socially viable, productive, and accomplishing. Games can “change the world”. In other words, by engaging in their logics and accomplishment system, we have a chance to be trained in using these very tools and solve global issues involving environmental sustainability, social disadvantage, economic inequalities, famines. McGonigal and her followers, however, seem to underestimate the role that they play in pretending to shape reality as a game. The assumption behind this approach to problem-solving is that problems appear as linear, crystallized narratives. It is because of this that they can be fixed, once and for all. There designer mentality at work here believes in the creativity of the individual to persuade the masses to fix a problem, and to show how to do it, for general and perpetual benefit. Choosing and framing the problem and its solution, in such a perspective, are left in the hands of the game designer. Thus, the collective participatory effort will be spent to achieve the designer’s ideals. If we leave out the bombastic and exaggerated tones of McGonigal’s rhetoric and the alleged and unverified evidence for these claims, we can see that a similar approach would in fact address a social issue by persuading the largest possible number of people of its relevance, and then design a structured activity where everyone could participate to its solution. Such a mentality, however, reflects a ultimately naïve conception of “reality” while imposing a mastermind over it. On a broader scale, the ‘grand narrative’ of user redemption and beneficial interactivity can be considered as part of a series of larger discourses about creativity fostered in neo-liberal industries, and permeating every field from software engineering to web design. To fix the world by means of design, emancipating the user and promoting her/his freedoms, are all topoiwe have already heard of 8. Although it would seem as if the perception of video games in the agenda of media, critics and researchers had become largely more positive than in previous years, we argue that this change took place at the price of no critical improvement or better understanding of the medium. It would seem in fact as if many takes on video games were simply reversing the polarity in favour of a naive perception of the interaction between humans and media. (Baker & Petley, 2001) criticised the moral panic instigated by the tendencies to trivialize and simplify the relations between media and supposedly passive users: by ossifying the concept of violence into a general and universal concept, the approaches that relied on outdated effects paradigms were misunderstanding the diversities of the individuals in their sociological, cultural and psychological backgrounds. Not much seems to have changed in many of the more radical positive approaches to gaming. In some of these discourses this change seems to be similar in concept while reversed in polarity, and only partially based on facts, or on an exaggerate description of these. Just as the negative descriptions of games used to, so the positive narratives assume the effects of digital gaming abstractly as a technology, without considering the multitude of uses, interpretations and social interactions that emerge in private and online playing (massive or not). In fact, these processes seem to partially echo the previous reception of other popular media and practices, and their similar transition from causes of media panic to conversely integrated practices. According to Barrie Gunter (1998), concerns such as those we have highlighted “reflect similar public outcries which accompanied the growing popularity of early Hollywood movies in the 1920s and 1930s, horror comics in the 1950s, and television in the 1960s and later” (p. 7). The redemptive discourses on games share with the more apocalyptic visions the same technological determinism and a tendency to describe the medium as if its consequences could be predictable, either bringing disrupting and corrupting or bearing unquestionably positive meaning and effects. Most of these redemptive narratives appear to be based once again on the same starting point, that is the growth in terms of numbers of the video game industry, which we have previously highlighted in its use by McGonigal (2011). However, the growth of the market or any other statistical fact does not prove to bring to a further and more accurate understanding of the industry and its consumers. More importantly, an increase does not entail, logically, an improvement in the social, aesthetic and even medical potential of digital gaming. In fact, such a revolution appears to be only partially based on facts, as most of the positive arguments appear to re-frame the understanding of the video game culture at a discursive level. A critical position of this kind of argument is maintained by Aphra Kerr (2006), who challenges the numbers in support of the wide distribution of digital gaming as an important justification for the redemptive turn which occurred in the last decade. The diffusion of video games appears to have caused a major awareness and familiarity with the medium among its consumers, to the extent that this has brought to the demand of new solutions and applications, including the artistic, political and salutary ones. Kerr discusses about the role played by narratives of production and consumption and by the imagined consumers in shaping the actual development of digital games, stating that although the game industry has experienced a steady growth, the revolutionary claims are not supported by the evidence of the market surveys. The growth may be less impressive than what many statistics report and not as regular in every region. Moreover, Kerr debates the focus on the prosumerof video games as a new figure in the industry, and as a key concept for the nexus between the growth of the market and the social potential of games. The combination of the roles of producer and consumer in the video game industry has often been considered as a sort of revolution, rich of political connotations. The consumer, in this view, can take control of the software and even subvert, violate, change its meanings 9. However Kerr (2006) notices that this rarely happens, and draws on Henry Jenkins to argue that the interactive audience may be more a marketing concept and less than a ‘semiotic democracy’” (p. 121). She concludes stating that digital gaming can also be detached, and that even if some players might enjoy to modify a game, on the other hand “for some digital players it may be pleasurable to play exactly according to the given script” (p. 124). What Kerr points out is that we should be aware of revolutionary statements. Practices of consumption cannot be understood by market researches in all their multi-faceted aspects. Much more moderate statements are needed, if we want to provide a reliable account of the state of the industry. Johnson, as well as McGonigal and Prensky, appear to have a less moderate position. Interaction, engagement and participation are universally re-shaping the players (or may change the world). Such a profound discursive transformation could be explained by means of historical, social, technological and anthropological causes. Rather than arguing on these overwhelmingly complex causes, we would like to focus on the dynamics at work in the construction of these narratives. A careful examination of the discourses that led us to consider digital gaming as a revolutionary medium shows that there is a general detachment between the facts about the market and the claims made in regard to it. This change is not determined by the growth of the industry or any other statistical factor but, being a discursive change, it is mostly the spontaneous convergence of a variety of professional, social and individual needs for legitimization, often delivered as transposition of narratives appearing in other industries. There are of course more sceptic views. Dyer-Witheford & De Peuter (2009) agree that video games can prove effective in training the next generation of cognitive workers, however this perspective is understood for its political implications: “a media that once seemed all fun is increasingly revealing itself as a school for labor, an instrument of rulership, and a laboratory for the fantasies of advanced techno-capital” (p. xix). Dyer-Witheford & de Peuter also provide a good overview of the evolution of game criticism, highlighting the passage from condemnatory to celebratory positions. They also state however that a more critical perspective is now emerging. Such a critical position tends to understand the medium for its political ideologies and its potential for new democratic interventions. We believe that this position tends, as argued by Bart Simon (2011), to polarise the political proposal in an “us versus them” rhetoric. Dyer-Witheford & de Peuter provide a very good account of the problems of video game criticisms and the economic, cultural and political implications of the industry. However, starting from a feeling of disappointment towards video game criticism which is similar to ours, they offer a not less polarised and deterministic view. While having the merit of being much more self-aware, this critical perspective is still not, we believe, what might frame radically different and better discourses (and subjectivities) surrounding video game culture. Apart from similar exceptions, the positive, apologetic and redemptive take on video games appears as the ultimate reversal of the narrative of games as escapist and corrupting agents, as they now would seem invested with the duty of engaging with and saving reality. We believe however that in such an optimistic perspective much is lost. Reality might be broken, and in need to be “fixed”, but video game theory does not appear in better conditions. In fact, rather than dissecting these narratives, video game scholars have often accepted them with gratitude, as a form of positive sanction on their work. We believe that a more neutral and lucid understanding should be provided. The Lost Game: what is left for the game scholar? The role of the scholar seems to demand a certain awareness, in so far often lacking, of the role the observer has in shaping the object of discourse. The accounts of video game culture often appear to be unaware that the narratives they present produce the object of discourse as well as its subject. As a consequence, we are left with the responsibility of stepping back, and consider with more lucidity the position we take, the discourse we replicate and reinforce, and the role we play in their framing. The reception of extreme redemptive thesis such as those presented by McGonigal has enjoyed, we believe, a worryingly uncritical bias even in scholars who were craving for self-legitimization through the acknowledgement of the medium of video game. In this paper we have presented a historical overview of its apocalyptic descriptions and the revolutionary redemptive turn which, in approximately the last decade, has attempted to subvert the earlier disparaging accounts of gaming. We have outlined three paths in this re-evaluation of digital gaming: a sanitary concern and later approval of video games, an aesthetic underestimation and later appraisal of contemporary productions, and a social and political stigma which later turned into an alleged potential for new forms of activism and grass-root organization. We have argued that these changes have little to do with historical facts and are in actuality discursive formations surrounding video game culture. This discursive level appears to be a much more solid ground for understanding video game culture than the defective facts and evidence often presented in support of the revolutionary statements. Video game criticism should understand the relation between digital entertainment and society in a much more profound way, escaping recycled mythologies and critiquing ideologies in their basic assumptions. What is at stake in this alleged revolution is actually the loss of critical awareness. Video games are not, unfortunately, better understood in this more contemporary view. They are instead implicitly considered as parasites of other media, trivialized into marketing talk or invested with delusional claims on radical socio-cultural changes. This redemptive revolution does not acknowledge historical, social, or psychological complexity. It is far and opposite from elevating video games, and should be confronted by a critical and self-aware engagement in the understanding of the medium. Apocalypse is postponed, and so should be redemption. Anderson, C. A., Gentile, D. A. & Buckley, K. E. (2007). Violent Video Game Effects on Children and Adolescents: Theory, Research, and Public Policy. London, UK: Oxford University Press. Baker, M. & Petley, J. (2001). Ill Effects. The media / violence debate. London, UK: Routledge. Carbone, M. B. (2012). L’affaire L.A. Noire. Comunità interpretative e modi di ricezione nei discorsi tra cinema e videogioco. In R. Menarini (Ed. ), Le nuove forme della cultura cinematografica. Critica e cinefilia nell’epoca del web (pp. 135–147). Milan, Italy: Mimesis. Dyer-Witheford, N & De Peuter, G. (2009). Games of Empire. Minneapolis, MI: University of Minnesota Press. Ferguson, C., Rueda, S., Cruz, A., Ferguson, D., Fritz, S., & Smith, S. (2008). Violent video games and aggression: Causal relationship or by product of family violence and intrinsic violence motivation?. Criminal Justice and Behavior, 35, 311–332. Galloway, A. & Alexander, R. (2006). Gaming. Essays on Algorithmic Culture. Minneapolis, MI: University of Minnesota Press. Gunter, B. (1998). The effects of video games on children: the myth unmasked. Sheffield Academic Press. Hesmondhalgh, D. (2002). The Cultural Industries. London, UK: SAGE Publications. Jenkins, H. (1992). Textual Poachers: Television Fans & Participatory Culture. Studies in culture and communication. New York, NY: Routledge. Jenkins, H. (2006a). Convergence Culture: Where Old and New Media Collide. New York University Press. Johnson, S. (2005). Everything Bad is Good for You, How Today’s Pop Culture Is Actually Making Us Smarter. New York, NY: Riverhead Books. Kerr, A. (2006). The Business and Culture of Digital Games. Gamework and Gameplay. London, UK: Sage Publications. McGonigal, J. (2011) Reality is Broken: Why Games Make Us Better and How They Can Change the World. New York, NY: Penguin Press. Prensky, M. (2006). Don’t bother me, mum, I’m learning!. London, UK: Paragon Press. Sotamaa, O. (2009). The Player’s Game. Towards Understanding Player Production Among Computer Game Cultures (Unpublished doctoral thesis). University of Tampere. Wii Fit, Nintendo EAD, Japan, 2007. Call of Duty: Modern Warfare 2, Infinity Ward/Activision, USA, 2009. L.A. Noire, Team Bondi/Rockstar Games, Australia/USA, 2011. Heavy Rain, Quantic Dream, France, 2010. Alan Wake, Remedy Entertainment, Finland, 2010. Second Life, Linden Research, USA, 2003. Minecraft, Mojang AB, Svezia, 2011.